Peugeot has launched “Alchemy”, a brand advertising campaign providing a spectacular take on the company’s symbols, innovation and values, in association with the launch of a new brand identity, a new Lion, the new Peugeot SR1 Concept Car, and move towards marketing an electric car. The Peugeot SR1 “dream car” explores and reinterprets the theme of the “Grand Touring Car”, using HYbrid4 technology to offer an engineering specification in keeping with its styling: 230 kW (313 bhp) with emissions of only 119 g/km of CO2 (0 in electric mode), 4 wheel drive and steering. The Lion on the radiator grille is simpler in its design, more dynamic, with a new posture and a new fluidity, and creates a bimetallic effect through the contrast of its mat/lustrous finish. This Lion is also the Marque’s new logo, three-dimensional for greater modernity, jettisoning the blue flag for a more forceful effect. The Peugeot blue has become darker and is now combined with the new typography of the Marque’s name. The first vehicle to display the new Lion is the Peugeot RCZ which will be launched in the spring of 2010. Peugeot’s new brand is online at www.new-peugeot.com, providing visitors with an interactive experience of the company’s emerging framework. The Peugeot team were Xavier Peugeot, Olivier Gandolfo, Nathalie Le Maitre, Aude Collerie de Borely, Jérôme Saigot and Anne Fenninger. The BETC Euro RSCG team were creative directors Rémi Babinet and Anne Cecile Tauleigne, president Raphael de Andreis, account managers Henri Tripard, Laurent Duvivier, Vittorio Lucchini Gilera, planner Clarisse Lacarrau, TV managing director Fabrice Brovelli, TV producer Solene Frank. Filming was shot by director Michael Gracey via Partizan Midi Minuit, Paris, with director of photography Damien Morisot. Music is “Tonight”, by Yuksek, composed by P.A. 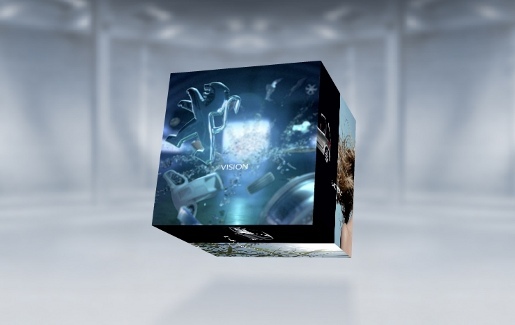 Busson, edited by All You Need Songs/Savoir Faire, and produced by Has been/Barclay/Universal. 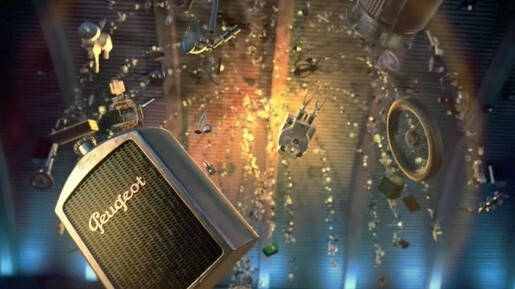 Post production was done at Mikros Image, Paris, by SFX supervisor Julien Meesters, business director Fabrice Damolini, project leader Sarah Cauchois, 3D supervisor Benoit Holl, lead animator Morgan Sagel, lead compositor Guillaume Ho Tsong Fang, Flame artist Stéphane Pivron, Stéfan Gaillot and Micha Sher, preparation/research team Olivier Mitonneau, Damien Climent, Geoffroy Barbet Massin, modellers Mehdi Rami, Mathias Barday, Luc Martias, Paolo De Lucia, Antoine Carlon, Franck Clement Larosiere, Nicolas Guiraud, Carlos Perona, trackers Yvan Galtie, Dimitri Dassonneville, animators/particles William Untereiner, Benjamin Lenfant,Morgan Sagel, renderers Manuel Souillac, Nicolas Bruchet, Antoine Carlon, Mathias Barday, Luc Martias, Paolo De Lucia, Benjamin Lenfant, compositors Julien Dias ,Gérôme Viavant, Sébastien Podisadlo, Rotoscope artists Philippe Manuel, Sylvette Lavergne, and cut down editors Remi Soyez and Vincent Venchiarutti. The press campaign was developed at BETC by art director Jean-Michel Alirol, copywriter Dominique Marchand, art buyer Christine Lefers, print producer Frederique Klore, BETC Design managing director Christophe Pradère, graphic design creative director Aurélia Jacques, product design creative director Sébastien Léridon, art directors Philippe Gey, Benoît Brillaud, Marianne Delmas, Eléonore Morasso, Alain Chevalet, design managers Béatrice Poulain, Magali Thiery. The digital campaign was developed at BETC by François Barral, François Bitouzet, Lucille Moreau, Olivia Licoys, Ivan Beckowski, Christophe Clapier, Sandrine Bovis.